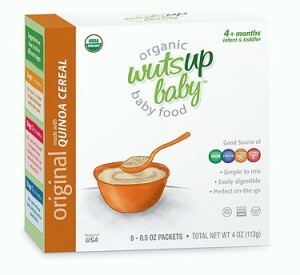 New parents are going to want to get FREE WutsupBaby Quinoa Cereal! This offer is for Mom’s meet ambassadors by invitation only. If you’re not already a member sign up here first. It’s free! All Mom Ambassadors selected for this opportunity will receive 3 boxes of original quinoa cereal, 3 boxes of cherry quinoa cereal, 3 boxes of carrot quinoa cereal, and an informational brochure! Don’t miss out!